The Annual General Meeting was held on March 12th 2019, a month later than scheduled because of the snow fall. We had 53 of our 108 members attend and many committee positions were filled. 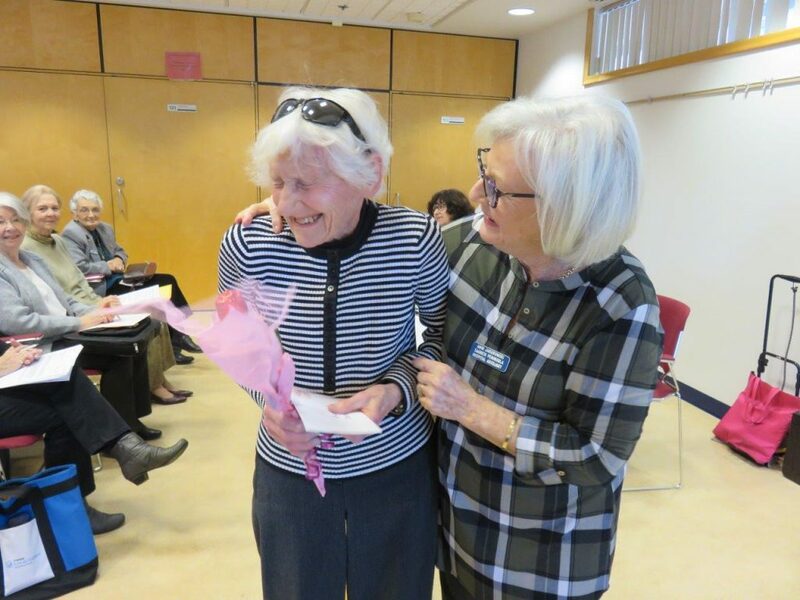 Attached are photos of the members receiving Honourary Memberships. The criteria is that they have served at least 20 years and participated continuously in various capacities. 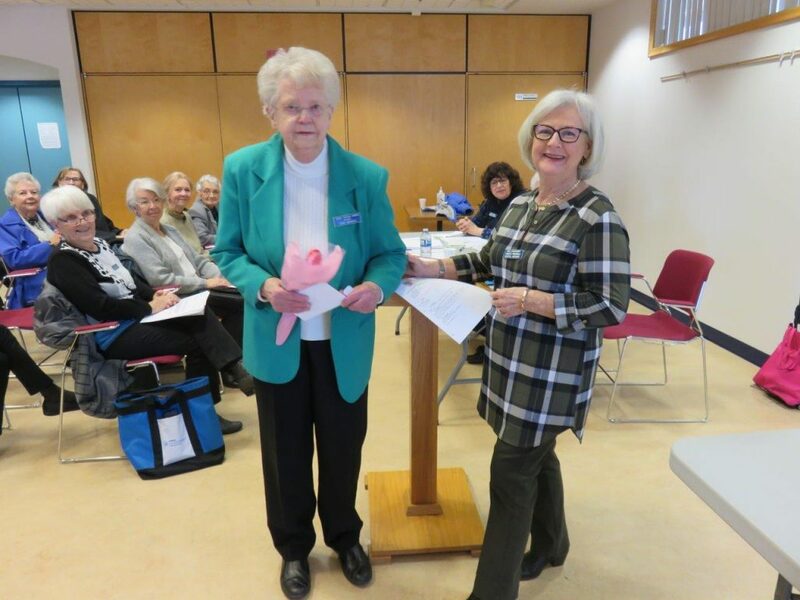 The lady in pink is Becky Clark who joined us in 1980; the lady in the striped sweater, Sheanagh Dennison, joined in 1981; and our member in the green jacket, who has supported us the longest (since 1979), is Joan Nicholls. 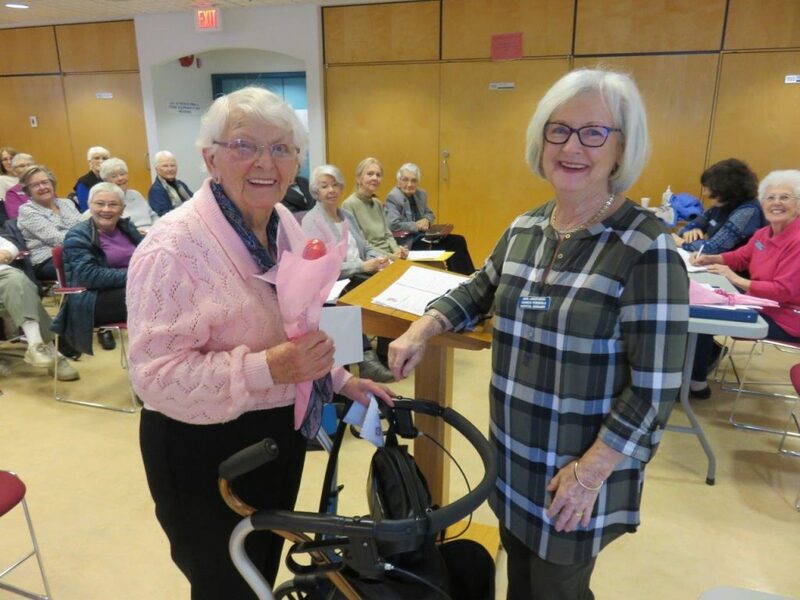 Each of the ladies received an Honourary Member Certificate and a ‘chocolate’ rose. 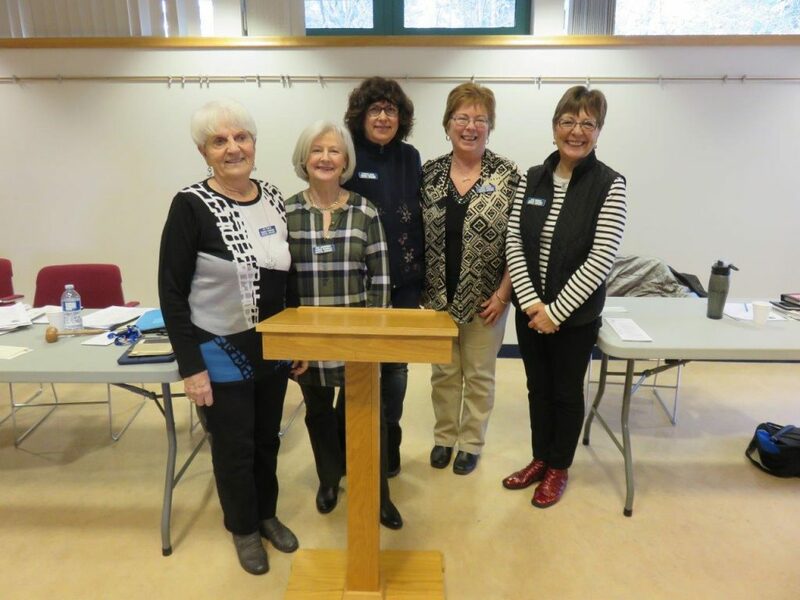 The last picture is of the new executive, Iris Fowler (1st Vice-President), Anni Jakubowski (outgoing President), Veronica Cross (Secretary), Kathy Carter (Treasurer), and Jean Manville (2nd Vice-President). Absent is the new President, Jean Van Wyk. After the committees and executive reports were given, and the swearing in of the new executive, a light lunch was provided. Many stayed to mingle and volunteer for various spots that have become available. We look forward to a great year and our 45th Anniversary celebration at our June lunch.